I celebrated my birthday this week and initially thought I was going to cheat and eat real cake. I had a FODMAP-related meltdown regarding how I haven’t had pizza in almost 8 weeks (I’m obsessed!!) and decided to just forge ahead and finish the elimination phase the best way I can. 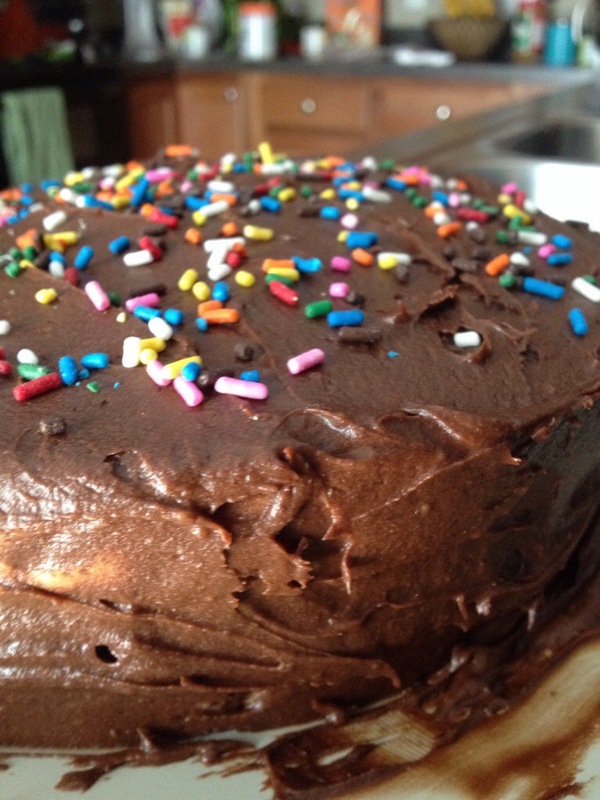 So, I made gluten free cake by Bob’s Red Mill and chocolate “buttercream” frosting. 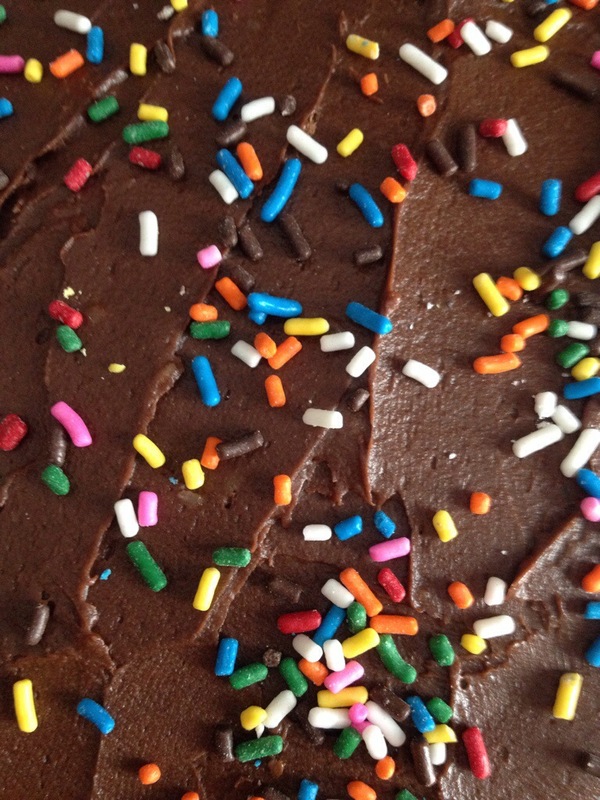 I read a ton of reviews about this cake mix, and how a person can make it taste better. I decided to doctor the recipe a bit with 1 extra egg, 1 tsp vanilla extract, 1/8 c extra sugar, a 1/4 tsp of extra baking soda, and I mixed the batter for a total of 4 minutes. The cake left much to be desired. It was heavy, chewy, and bland. I wouldn’t use this mix again. The highlight was the frosting. WOW!!! After making it this way, I don’t know if I’d go back to the original recipe that uses butter, milk, and shortening. Cream the coconut oil until smooth, creamy, and without lumps. Slowly add in powdered sugar and mix on low-medium speed. Add in vanilla extract and 2 tbsp almond milk. Mix on low-medium speed. Add in cocoa powder, and mix. Now, this is where the fun comes in. Taste test your frosting. Too thin? Add more sugar or cocoa powder. Too thick? Add more almond milk. Too sweet? Add more cocoa. Not sweet enough? Add more sugar. It would be hard not to just eat the frosting on its own!! I am also entering my final week of elimination before my GI tells me what to try adding back in. I am nervous to try the forbidden foods again, because I’ve been feeling so well. On the other hand, I had a breakdown about not eating pizza, so maybe it’s time to see what I can add in and tolerate. Next time I write, I may be able to eat gluten again!